There's nothing like the feeling of building something valuable with your own hands, especially when that "something" finds a place in the home. It can be easy for homeowners to be quick to enlist the help of third-party services and turn to store-bought materials out of convenience, but most home-related projects can be done on one's own with repurposed materials that are friendlier on the wallet. Next time you're thinking about installing a new door in the house, consider exploring DIY options as they're typically more affordable, rewarding, and versatile. The following examples each utilize wood from pallets to construct gorgeous sliding doors that work beautifully to close off rooms inside the house. Take a look at the charming sliding door below. 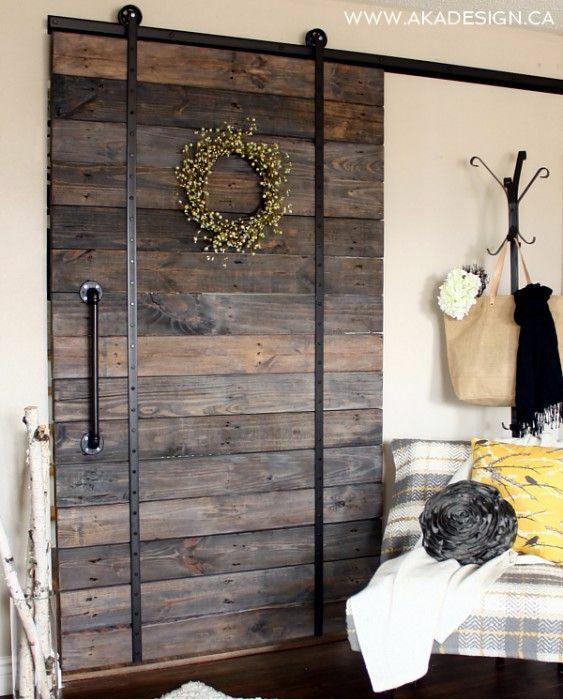 Featured on Lehman Lane, a blog following the DIY endeavors of a family of six living in Pennsylvania, the door was made using pallet wood and a sliding barn door hardware set. According to the blog, the motive behind installing the sliding door was to create more space in one of the children's rooms, which was made narrow because of the swinging door. Our next DIY inspiration is featured on Ana White and is designed similarly to the sliding door above. 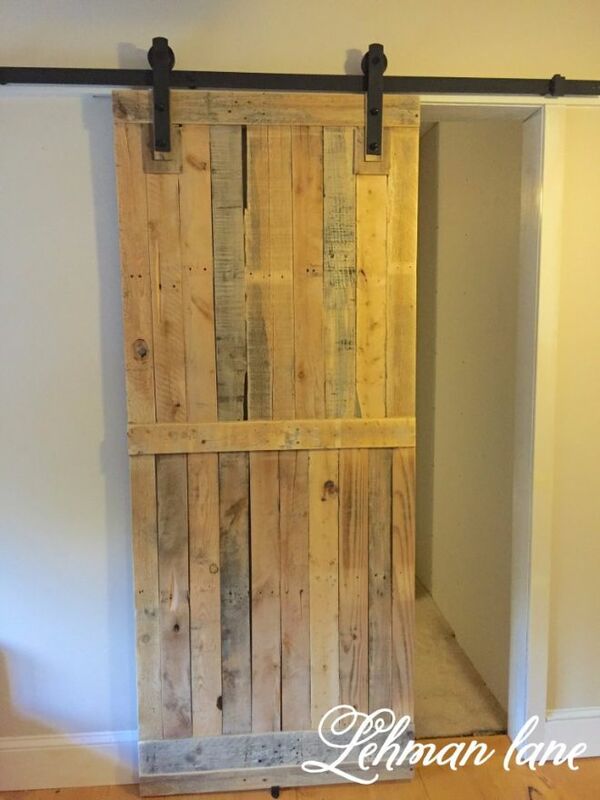 This door was created using pine and oak wood from reclaimed pallets and track hardware that only cost $13, as described on the website. The builder used a dark, rich finish to customize the door to better suit the theme of the room it was being installed in. Lastly, a gorgeous rustic door comes to us from the website AKA Design. Shannon Acheson and her husband Dean had been wanting to build a barn door for quite some time before they actually set to work on gathering the materials. According to AKA Design, the couple used reclaimed pallet wood, pipe-fitted handles, and repurposed wheels from their kids' scooters to complete the project. 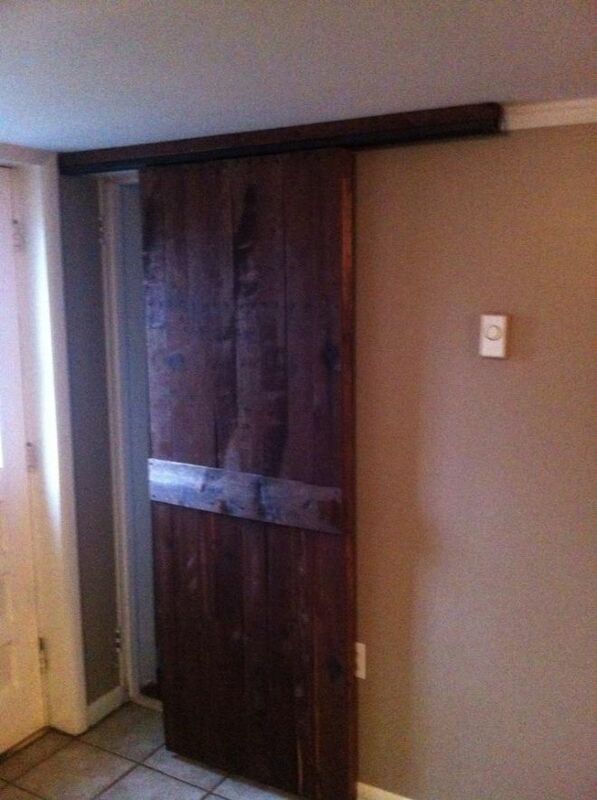 The result is a downright stunning barn door that brings a touch of country charm to Acheson's living room. All three of these projects prove you can add rustic charm into any modern setting. 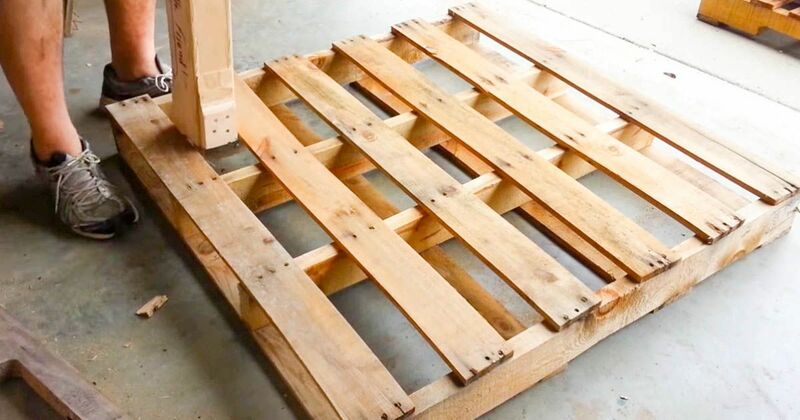 Liked these pallet projects? If so, be sure to SHARE this DIY project with family and friends on Facebook.